Note: Currently, there is a 2-3 year wait list for new, in-office clients. Anyone who attends classes or workshops has the option of a personal, in-office appointment within eight weeks of participation. 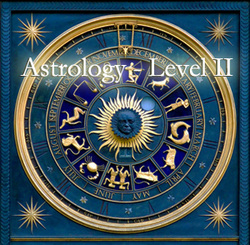 The students who attended Level I Astrology showed up with curiosity, intelligence and passion. They dug deep and flew high, exploring the Heavens and the timeless wisdom encoded in the Planets. We covered a great deal of ground, or should I say sky? Oh, and we had some fun! What will we get up to in Level II? Here is a small peek. Level II will begin by sifting through the mysteries of Neptune and the metamorphic powers of Pluto. Each of these Planets are both generational and personal. Next, we will study the eight phases of the Moon and how the phase of your Natal Moon has her own unique story to tell in regards to your chosen tribe (family) home, emotions and your unconscious. The navigators of your Chart, the Nodes, which reveal habitual patterns and Spiritual aspirations are featured next. These agents of personal and societal transformation, the Asteroid Goddesses, Ceres, Juno, Pallas Athene and Vesta hold the symbolic keys to furthering our understanding of ourselves and others. Magic! Anyone who has taken Level I (or any Level from me) may attend Level II. Also, anyone who is familiar with the basic functions of the Planets, Signs and Houses and is ready to learn more about this profound and practical tradition is welcome.